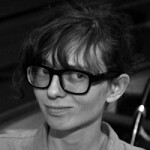 D&S artist-in-residence Ingrid Burrington speculates whether or not possible threats to internet infrastructure are in fact threats. To take out some of the major chokepoints of the internet wouldn’t be impossible, and it would have pretty devastating consequences, but any kind of attack on such a space at scale would require a degree of coordination and resources more likely in the hands of a sovereign country than a terrorist cell. And in an age where every war is a propaganda war, taking out the internet at scale is an act of mutually assured destruction: ISIS needs a global internet to coordinate and recruit, and western governments need a global internet to surveil that coordination and recruitment. Most sovereigns are far more content to exercise limited control and outages within their own boundaries using far less labor-intensive methods than physical infrastructure attacks.